As you are most definitely aware, energy bills tend to drastically in the cold winter months due to the need to heat your home. Many homeowners are trying to find new and effective ways to lower their energy bills. One of the best ways to do so is to install vinyl windows Edmonton. At the present time, home insulation levels are measured with the R value, which measures the amount of heat that is prevented from escaping, the higher the R-value, the better the insulation. For example, a 20 year home would have an average of an R-15 rating for the walls, while the windows would average around R-2, thus the heat tends to escape via the windows. For this reason, more and more homeowners opt to install vinyl windows Edmonton for superior insulation. Vinyl windows Edmonton are designed with optimal insulation properties and also have a wide variety of options. If you opt for double paned windows as opposed to single panes, you can drastically lower your energy bills. Double-paned windows contain inert gas between the panes for excellent insulation. Replacing your windows can dramatically improve the curb appeal and resale value of your home. This is especially true if you have recently done home renovations. A lot of homeowners opt for contemporary white or off-white vinyl windows, which will give your home a clean, contemporary feel. Older windows were designed smaller than contemporary windows to conserve energy. If you install vinyl windows you can have larger windows installed which will give you a greater view of the great outdoors as well as increase the overall visual appearance of your home. Many homeowners are opting for vinyl windows in Edmonton to upgrade their older windows. Older windows become less effective as they age. Wooden windows tend to shrink and warp and leave openings between the glass and the window will, which greatly contribute to heat loss. Also, your windows may have corroded over time and the fixtures such as the opening mechanism and locks may not function properly. As more and more people are resigning in urban environments, they tend to experience a lot of noise pollution, especially during the evening hours while they are trying to sleep. Modern vinyl windows are able to filter noise pollution and thus prevent it from entering the home. Whatever your reason for replacing your windows, you should take the time to ensure that you chose the most qualified and professional window installers. 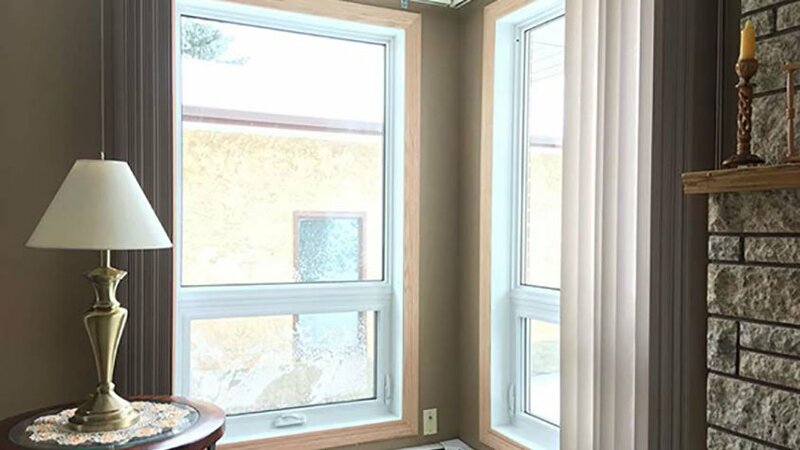 This will save you a great deal of money in the long run and ensure that your vinyl windows Edmonton are properly and professionally installed. When it comes time for home renovations, contact Window Mart. Our staff is ready to assist you in choosing the most energy efficient and stylish vinyl windows for your Edmonton home. Call us today for your home improvement needs.